Another great year passed away, and it won’t be over saying that the year 2013 introduced a lot of innovations and advancements in the web design industry! Starting from flat colors, responsive design, app style interfaces, UX centered designs to the unification of the desktop and mobile devices into a single version, there were lots of web design trends spotted last year. With the farewell of 2013, 2014 has already started knocking the doors of designers. So, it is again time for web designers to sharpen their designing skills for the coming years! With the proliferation of mobile devices and ever transforming designing technologies, it has become critical for the designers know about the upcoming designing trends to be able to create websites with outstanding and unique layouts. With this thought in mind, today we’re going to take a sneak-peak of top 5 website design trends in the year 2014. So, without wasting time, let’s start exploring what website designing trends are coming! Grid-style layouts are going to rule! If you’ve observed social news feeds, you will find that most of the social news feeds are in “Grids” pattern. Even the popular social networking sites like Twitter, Facebook or Pinterest are introducing timeline updates in the form of grids. One of the main reasons why Grid style layouts will rock the design world is the “user experience”. With the thumbnail images or catchy text, you can easily transform your website’s look ‘n’ feel of your website! Flat design elements were the hero last year and they’re going to be key design elements in the year 2014 too! Flat UI elements enabled designers to design flatter buttons with the help of the natural box shadows, text shadows or rounded corners. The flat UI design concept goes beyond the scope and used these days even in navigation menus. There are many popular sites who have introduced flat icon sets and GUI kits for the designers. It’s just a beginning, so go for it! SVG images & icons are going to replace vector images! Till now vector images and icons were extensively used by the designers while designing any website. However, SVG images are soon going to replace vector images. These kinds of images are similar to the vector images in the sense that they can be easily manipulated without compromising the quality. The only issue with these images and icons is lack of browser support, but it won’t be a major concern for the designers in the future. Mobile-first design will be of course in-demand! 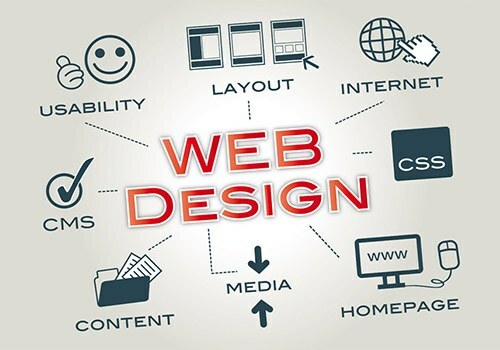 By the end of the year 2013, designers have learnt for scaling up their website to run across multiple platforms with the help of responsive design. This trend is going to continue in the coming years too! Moreover, navigation menus will be wider, content length would be based on the sidebar and there are lots of other changes will take place in the coming years with the intention to make mobile experience pleasant. Well, this is not an exhaustive list of designing trends in the year 2014. However, it surely indicates the top 5 web design trends that designers should start following in order to bring expected results for their clients. Did we miss out anything? Share your views in the comments…! Great article. The trend will have to give way to this powerful movement. Thanks for sharing.